Elle est egalement a proximite des bars, cafes, restaurants, cinemas du centre ville, ainsi que des gares routieres et ferrovieres. Porte d'entree des sites touristiques de Blarney, Crosshaven, Cobh, Midleton et Kinsale. 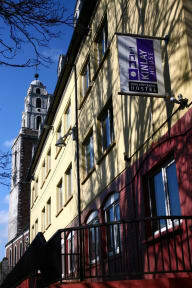 If you have to choose a hostel on Cork : go to this one. Well situated close to the city center (bus stop to Blarney is just down the street). I was in a large 6 beds dorm-room with private bathroom. Quiet enough if you need to rest. Big kitchen, TV room, laundry service in the evening, and even a computer with Internet access. And the staff is very helpful. I really recomand this place. Très bonne auberge de jeunesse ! Bon accueil chambre très correcte ! Enchantée d être passée ici . Auberge toute restaurée, très agréable. Lits confortables, propreté impécable aussi bien dans les chambres que dans les salles de bain toutes neuves (eau bien chaude, portes de douches en verres,...). Seul bémol : Pas de casier dans les chambres, donc on laisse sa valise toute la journée en faisant confiance (pas de soucis pour nous). Très bon rapport qualité-prix, je recommande à 100%!! 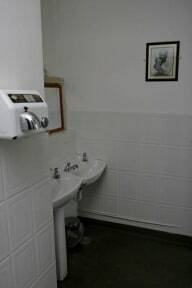 The rooms are really big, clean, comfortable and well heated. The staff was really nice and friendly! The only negative aspect would be the kitchen: there wasn't really enough cutlery at breakfast for everyone to eat at the same time, breakfast was just toast and jam (no cereals, juice or milk) and it was super cold in the dining room! I would go back though and definitely recommend this place! Good hostel for the price i paid. Nice place. However it's annoying that the common areas are closing so early because then people make noise in the room. Une usine. Le seul point positif de l'auberge est son emplacement et le réceptionniste. Je ne le recommande pas, impropre, personnel pas agréable. Le petit déjeuner, c'est le minimum syndical et c'est tout.